HIgh Quality panoramic images are published directly to Google Maps. Custom coded overlays and menus can be added into virtual tours to showcase locations and embedded into client websites. High quality immersive 360° panoramic imagery is worth much much more. Spherical panoramas crafted into a virtual tour can tell a story, re-create or capture an event or place for a viewer thousands of miles away all from the comfort of their computer or handheld device. Add additional multimedia features such as narration, background music or ambient noise, video or animated elements, to create a true interactive user experience. Taken to the next level 360° photography and video can be a virtual reality experience using a VR headset or Google Cardboard. Showcase and market your business or product in new creative ways that were never before possible! Our primary service is creating premium quality 360° panoramic images and tours for Google Maps "Street View" and custom tours for businesses located in Connecticut, Massachusetts and New York. We also specialize in aerial, commercial and real estate photography. Street View | Trusted is a premium quality, 360-degree interactive virtual tour of your business powered by Google Maps Street View technology. Google Street View for Business is an extension of Google Maps Street View and connects directly to Street View on Google Maps. Spherical 360° panoramic images, when viewed on a computer or tablet, allow the user to click and pan the image and view to see up, down and all around. When produced properly the image is evenly exposed and perfectly aligned. Virtual tours are a collection of 360 panoramic images that have been linked together to allow a viewer to seamlessly move through a space. Tours can be published directly to Google Maps Street View or elsewhere on the web in a custom designed interface. Current FAA rules require commercial UAS (drone) operators to hold a current FAA Part 107 Small Unmanned Aircraft Systems (sUAS) Certificate to operate legally. Additionally, the crafts must be registered and given a unique airworthiness certificate number. We fulfill the requirements to fly and capture aerial photography, panoramas and video from Small Unmanned Aircraft Systems (drones) and have the newest most technologically advanced drones available. Make your real estate listing or apartment rental stand out above the rest! We use natural lighting and HDR techniques to produce high quality interior and exterior real estate photographs that will help you sell or rent your property faster. Take a look at some samples under our real estate services tab. Professional web or print ready product photography. Standard still photography of 3D object photography services. Virtual Tours can be customized to include additional features and multimedia assets such as; audio narration or background music, still photography, video, 3d video, social integration, text & html info windows and much more including 3d stereo images that allow a user to experience a virtual tour using VR goggles. High quality panoramic images are published directly to Google Maps. 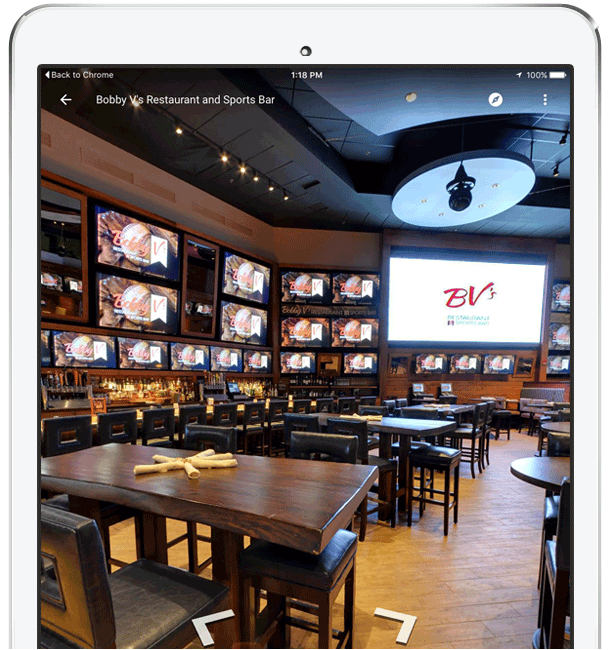 Custom coded overlays and menus can be added into virtual tours to showcase locations and embedded into client websites. 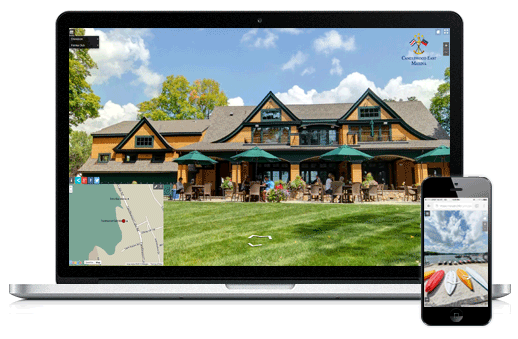 Invite customers to "see inside" your Connecticut, Massachusetts or New York based business with high quality Street View virtual tours on Google Maps. 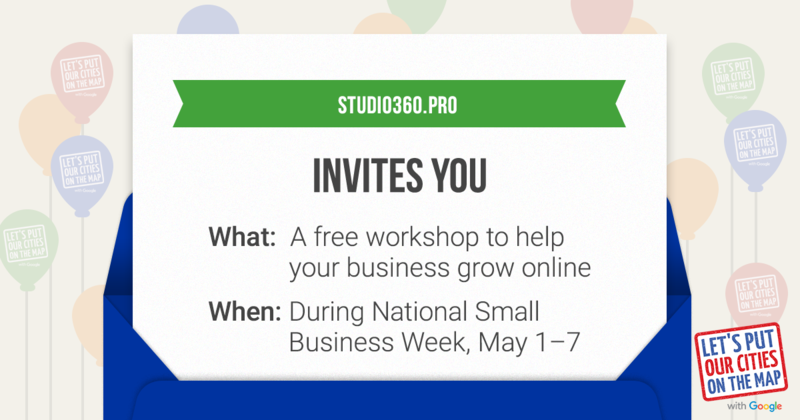 Gain visibility online with Google Search and Google Maps by using Indoor Street View. 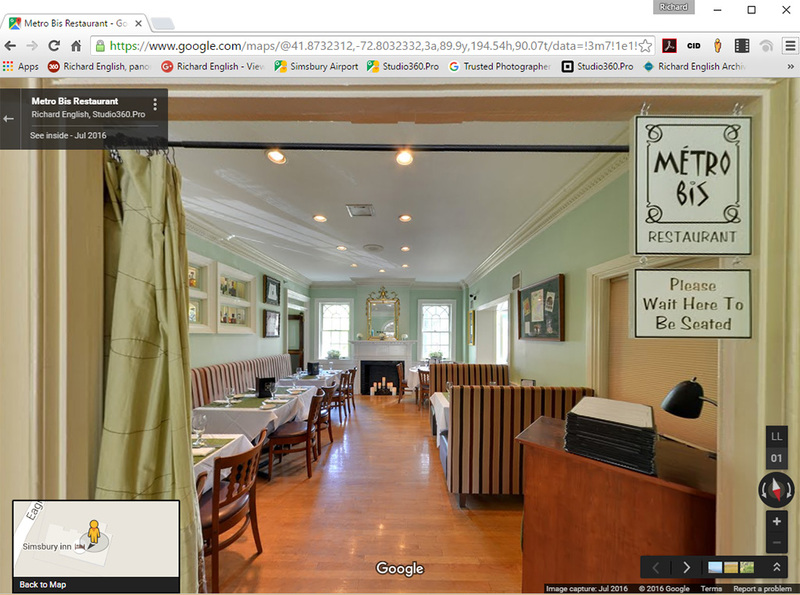 We specialize in Google Business View virtual tours for businesses located in CT, MA, NY and beyond. High quality panoramic images are published directly to Google Maps. Custom coded overlays and menus can be added into virtual tours to showcase locations and embedded into client websites. Easily embed your business Street View virtual tour into your website with the Google Maps API or simple HTML code snippet. 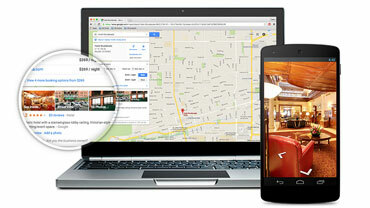 Promote your Google Map's Business Street View virtual tour on Facebook. Embed your tour on your Facebook Business Page. Choosing the right restaurant, cafe or hotel is often a complicated decision. Build consumer trust in your business with a high–quality, third–party–produced virtual tour that lets people experience your location before they arrive. These immersive, virtual experiences inspire greater confidence among prospective guests and patrons. Leverage the investment you've made on your interior to attract new customers. Allow your potential customers to familiarize themselves with your business . Compatible with desktops, laptops and mobile devices. A virtual tour is a collection of 360° panoramic images that have been linked together to allow a user to seamlessly move through a space. Google Street View are published directly to Google Maps and available from Search, Maps and Google+. Custom tours are hosted on the client's server or we can host them for you. A Google Street View photoshoot typically takes a couple hours and images are published within a week from the shoot. For custom tours, depending on the number of scenes and location, the photo shoot can typically be done in one day. Planning and building the tour may take several weeks . Several on site consultations are typically required to plan and consult. 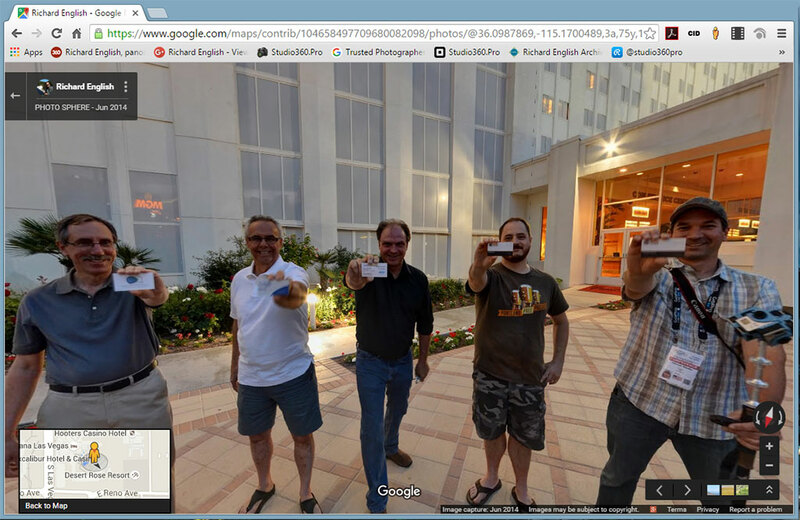 Google Street View and custom coded virtual tours are available on all mobile devices. Custom tours are coded with modern responsive design frameworks to ensure compatibility across a wide variety or devices and screen sizes. Let's Put Simsbury On The Map With Google! We've partnered with Google and the Simsbury Chamber of Commerce to put Simsbury "OnTheMap"! Your photos reached a new record on Google Maps! COMIX Comedy Club, located in the Casino of the Earth at Mohegan Sun is a great place to see the hottest new comedic talent. Let us take your Google Street View Tour to the next level with a custom overlay system. 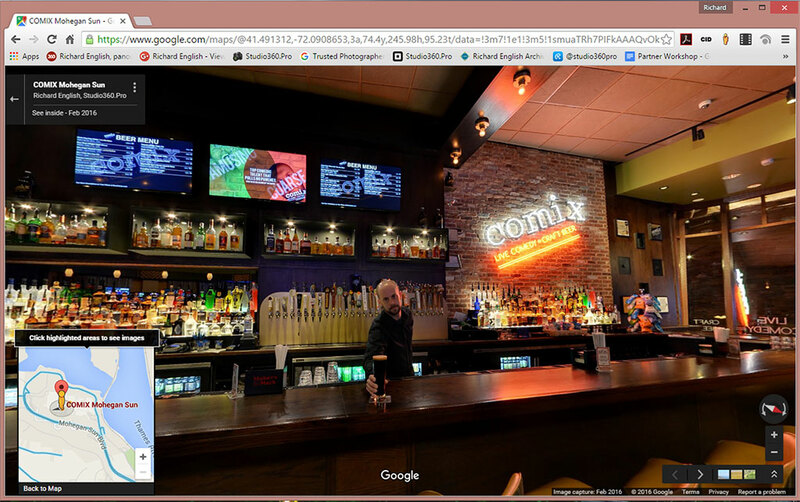 A custom overlay allows the standard Google virtual tour to be customized with additional features. Large venus benefit from navigation menus integrated into the 360° virtual tour by allowing users to easily jump from one area to another. Pop up text boxes, still photography and even video can all be integrated into a Street View tour with an overlay system. Richard, This is amazing! It makes navigating so easy. The Info icons on the boats are incredible. I love that it links through to our website. Everyone here is loving this tour. I mean seriously, it is blowing the minds of the owners! As you can imagine, they’ve worked hard to build the beautiful facility that we have and to have it documented in such a unique and sharable way is a huge win! 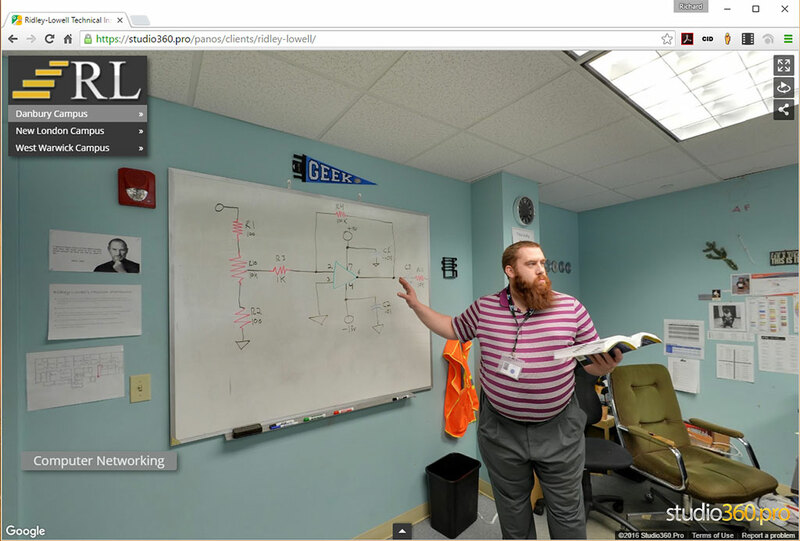 Richard did a phenomenal job creating a virtual tour of our office. He was a real pleasure to work with and brought some very creative ideas to the table. We have a fun, creative office-space and we expect that the virtual tour will be extremely helpful in showcasing our company's culture and attracting new talent. I would strongly recommend his services to anyone who needed a virtual tour or still photography. Richard, thank you for photographing the Saybrook Fish House Restaurant in Canton, Connecticut. The images you captured are great, the angles you chose really enhance the look of our restaurant. We love the virtual tour, and appreciate your help in getting our business verified with Google, updating the business information, and adding several of your photos. I highly recommend your ability as a professional photographer and your continued follow up. Look forward to working with you again. Joe Addonizio. Partner, Saybrook FIshHouse of Canton. Hi Richard I think these are the best photos ever taken inside the store. Mine always come out with a yellow tone and yours have incredible color balance! Everything looks absolutely great. If you ever need a referral, I am glad to give it. Thanks you did a great job! It looks great, and thanks for correcting our location on Google Maps. I will give your name to anyone that is interested and spread the word. 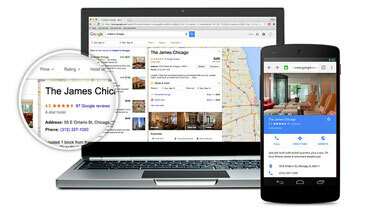 Those who view a listing with a virtual tour are twice as likely to be interested in booking a reservation there. 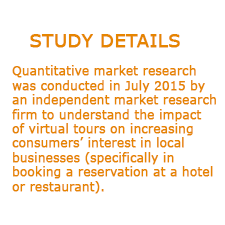 And among 18-34 year-olds in particular, prospects are 130% more likely to book based on a tour. 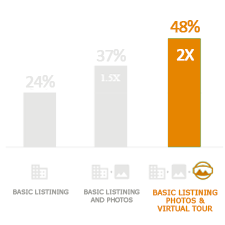 Among people surveyed, 67% want more business listings to have virtual tours. 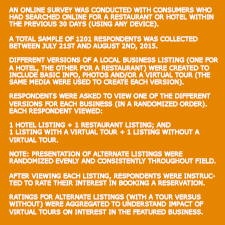 Of the remainder, 26% were indifferent, and 7% stated that more virtual tours were unnecessary. 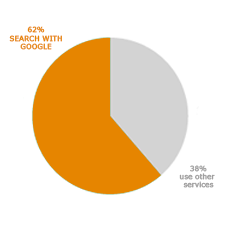 When searching for restaurants and hotels online, 62% of people use Google.